Welcome to T T R = "Training Therapists Right"
We Are Home To The Multi Award Winning "Dream Team" and the world reknowned Tina McCaffery AKA THE "Body Fixer"
Why Train anywhere else when you can Train with an organisation voted in the TOP 5 Best Training Providers in the UK?! Tina is regarded as one of the most skilled and experienced pain specialists in the industry. She is qualifiedin and teaches most of the therapies that we offer and has been in the industry for 25+ years. Tina is also a highly qualified lecturer, assessor and lead iqa and is highly sought after throughout Scotland and the rest of the UK for her courses, due to the depth of knowledge and skills applied in teaching you to become the best therapist there is in Scotland and around the UK! Massage for people in pain which is where she has gainde the title "The Body Fixer"
Has been qualified as a registered Diploma nurse at John Moores University in Liverpool since 2003. She started her career in The Royal Liverpool Hospital on a busy orthopaedic surgical trauma ward where she spent the next four years before moving to the Highlands and furthering her career in the Emergency Department at Raigmore Hospital. Here Heather worked for 7 years and had a duel role as senior staff Nurse within the Emergency Department and an Advanced Nurse Practitioner for the out of hours service. It is here where Heather was awarded her BA in Adult Nursing from John Moores University for gaining under and post graduate courses in Advanced Clinical Examination, Non-Medical Prescribing, Common Presentations and Recognising the Acutely Sick Child. She has also successfully completed Advanced Adult Life Support. Currently Heather is the Lead Advanced Nurse Practitioner for the East Highland ‘Out of Hours’ Service and manages a team of eight Advanced Nurse Practitioners. Heather’s newest venture is within aesthetics, she has recently successfully complted the ‘Combined Botox and Dermal Filler Course’ at Le Belle Forme in Glasgow. Heather will be offering treatments that will slow and reduce the signs of aging with the use of botulium toxins (Botox) and dermal fillers; and in addition augmentation of the lips using dermal fillers. Botox treatments will be available for the reduction of dynamic lines at the glabellar (frown), forehead and crows feet. Dermal fillers will be available for deeper set lines at the nasolabial area and marionette lines and also for augmentation of the lips. Maxine will be avaiable at our HQ in Alness at certain times for various types of body piercing. Pat has worked for TTR for a few years now and knows all there is to know about the inner workings of our business as well as all the legal stuff. Please feel free to contact Pat if you have queries with regards joining, becoming a clinic etc. 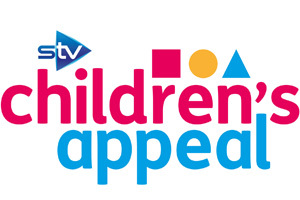 The STV Appeal has been our chosen charity for the past six years and will continue to be so until there are no children living in poverty in Scotland! Each year we do various events that help raise much needed money for this worthy cause and we are currently in the process of raising money by doing the incredible Titan Crane Swing but our Boss has said we need to raise £20,000 before she will do it.